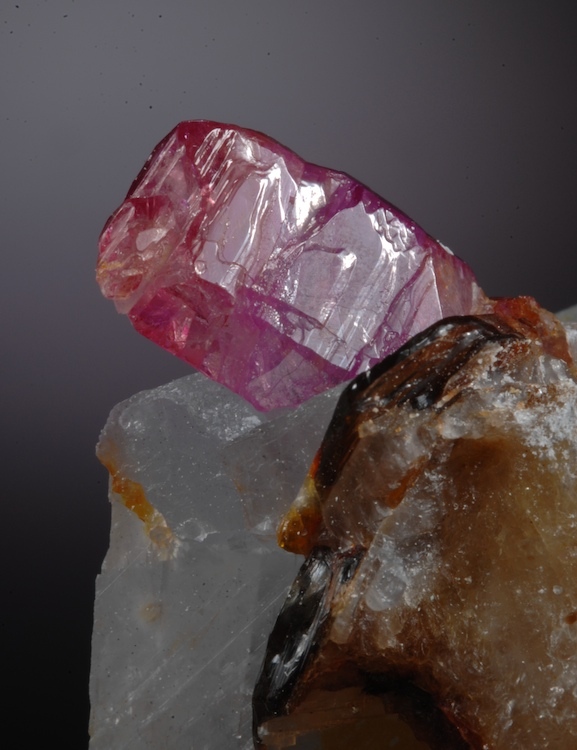 A rich red Ruby crystal that is transparent, has a slight color zoning and more purple core. 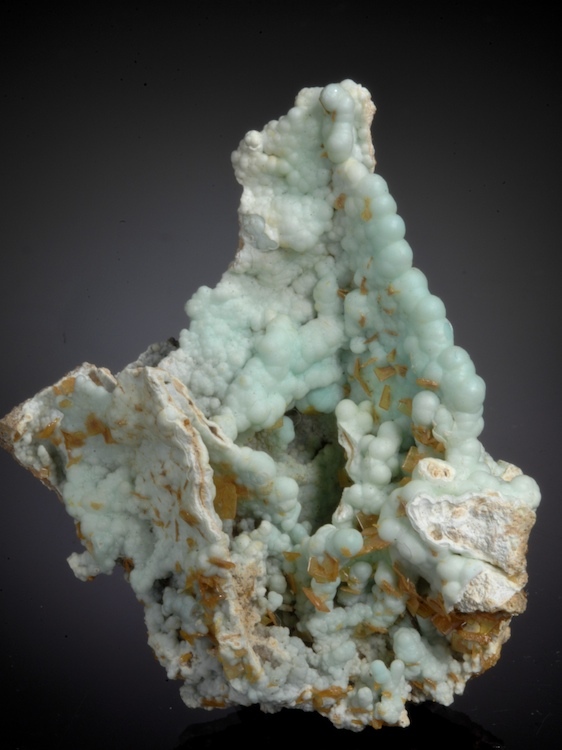 This stands nicely from the encasing Calcite matrix. 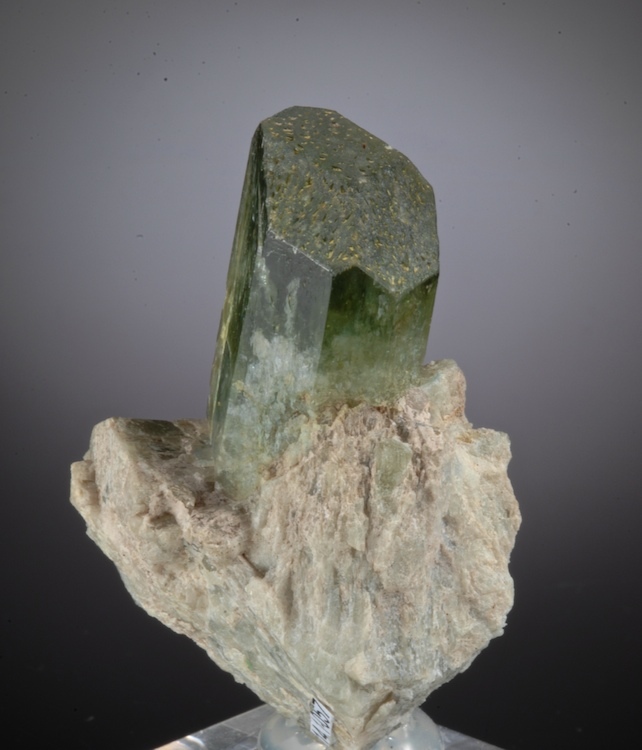 A second corundum crystal on the backside is broken and more blue, it is not seen from the display side. There is one clean repair that is not seen without help of 20X magnification, otherwise the Ruby is perfect and complete. 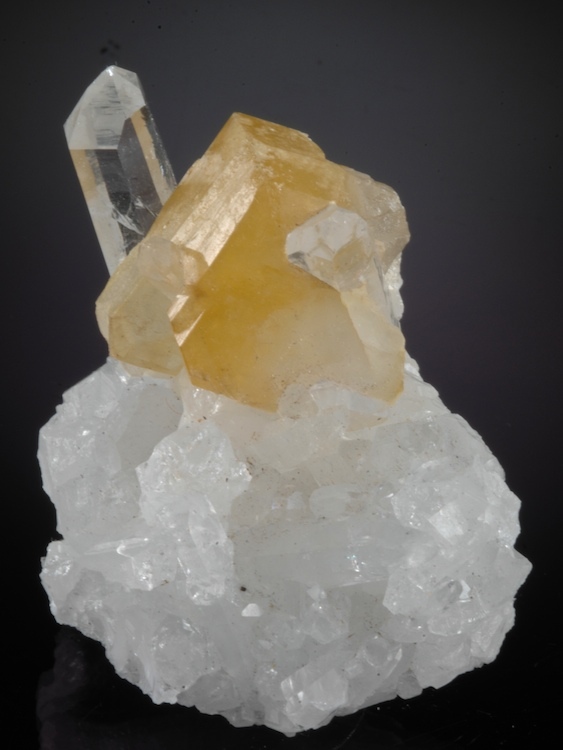 The crystal is partially enclosed on the calcite with 1.9 CM exposed and seems to be about 2.8 CM overall. Very fine form and color, Mogok Ruby has been regarded as the best in the world for centuries, yet few good specimens are seen. Mined in 2016, it is now illegal to export uncut gems from Mynamar. 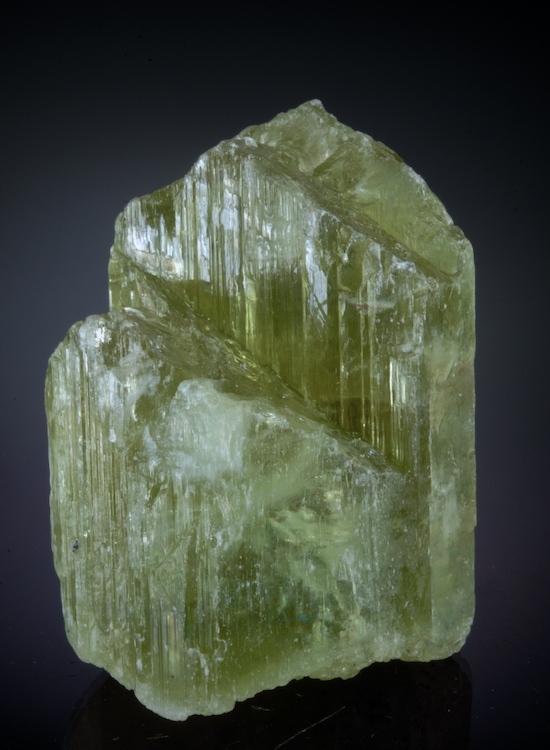 An excellent 3.2 CM gem crystal of Diopside is well positioned on a Tremolite matrix. A classic US specimen From the very old locale of Dekalb New York, this is an early specimen of a type that has not been found for many years. 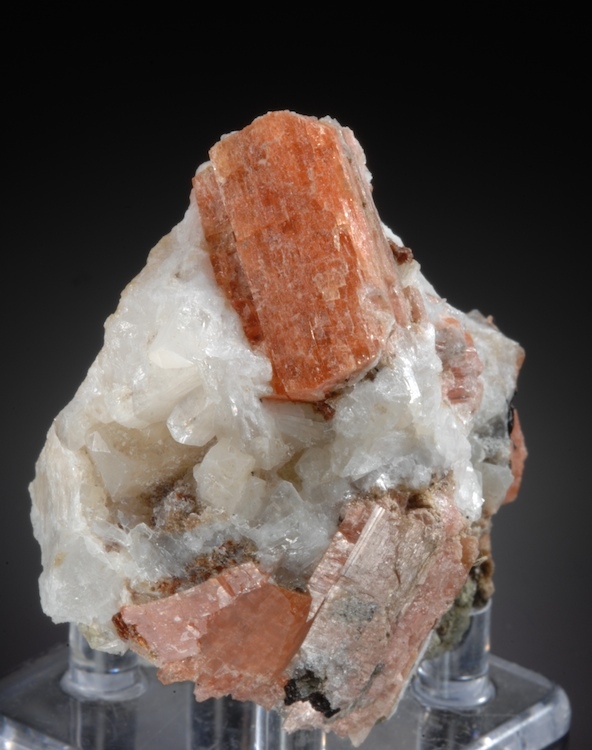 Sharp form, good luster, transparent-gem with fine color and in great condition. Rarely seen on the market and never available in this quality. An excellent value. An exceptional specimen the most perfect, colorful and gemmy Calcite I have seen from the closed Rucks Pit fossil clam locality. From early finds at this now classic location, an ex Arkenstone specimen, the luster and transparency are hard to capture in a photo. A small amount of the original clamshell fossil forms the base of this piece, the crystals had grown inside the clam but are now exposed. Unlike most of the thousands of specimens from here this is in the top .001 percent! 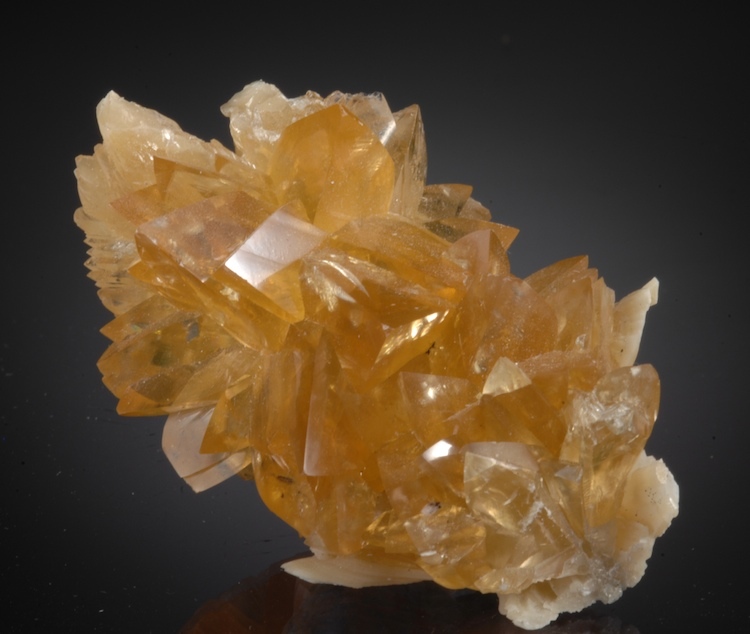 An attractive, delicate and rich color Gibbsite is host to dozens of sharp Wulfenite crystals. This is the only specimen of this rare association that I have ever seen. Ex. Shields Flynn collection which he obtained from Bert Ottens. 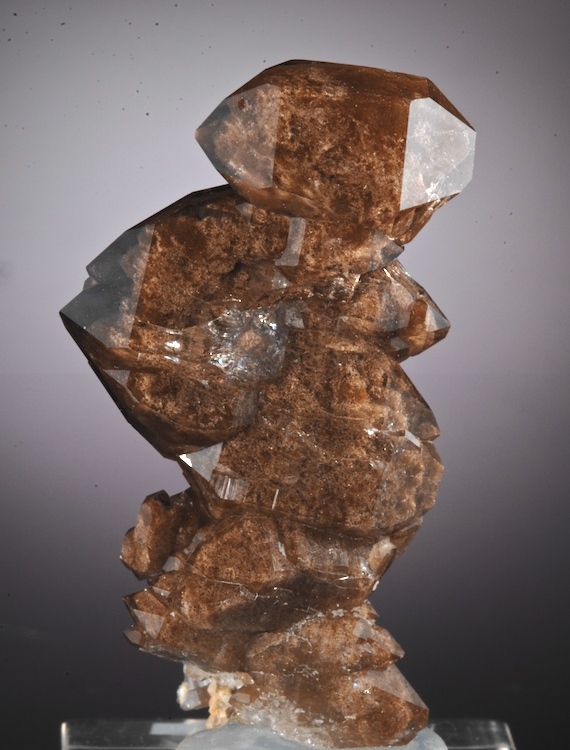 In perfect condition, this would be a really fine Gibbsite even without the Wulfenites. Displays well from many angles. Choice!